is a graduate student at Tufts University, Massachusetts, where he studies moral and political philosophy. His writing has appeared in The New Rambler Review and Haaretz, among others. ‘I didn’t do enough.’ This is a conclusion we all hope to avoid, especially as our lives close. It is, perhaps, the ultimate regret. In the final scene of the movie Schindler’s List (1993), this regret is Oskar Schindler’s. Looking into the faces of the hundreds of Jews he saved from the Nazi concentration camps, he cannot help but see the faces of those he did not, but could have. If he had sold more of his possessions or made more money, he could have bought the freedom of more. ‘I didn’t do enough,’ he says. Is he right? Could morality really require that this hero do more? According to consequentialism, it’s true: he didn’t do enough. Consequentialism is the moral theory that we are obligated to do whatever would have the best consequences. If that entails great sacrifice, then great sacrifice is what consequentialism demands we undertake. Since Schindler could have done more, he should have. Many will argue that this can’t be the case. It’s too much. Schindler was a hero. What he did went above and beyond what was required of him. And if Schindler didn’t do enough, what about the rest of us? For, in one respect, we are in Schindler’s position: we too could save lives with our money and time, or at least radically improve them, by donating much of our personal incomes. This is the line taken by ‘Effective Altruism’, a movement inspired by Peter Singer’s seminal essay ‘Famine, Affluence, and Morality’ (1972). Nevertheless, the vast majority of people don’t donate very much of their money to charity, even though they easily could. So the question that faces us is stark: have we done enough? 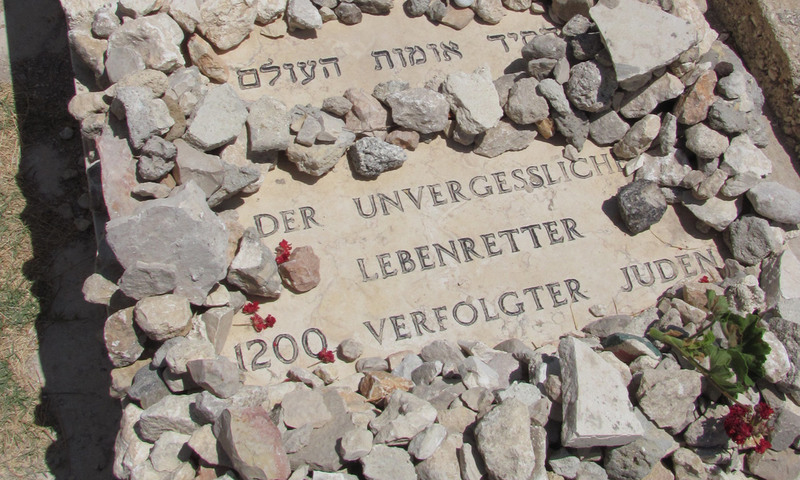 Could we be obligated to sacrifice as much as Schindler did – even more? Morality can’t possibly demand that we sacrifice as he did, parting with our hard-earned dollars for strangers. Philosophers refer to versions of this concern as the ‘demandingness objection’. Its advocates claim that a moral theory that would ask so much of us cannot be true. As attractive as this objection might seem, it’s harder to explain than it appears. To justify a less demanding normative theory, these objectors need to explain why it is sometimes permissible not to do the best thing. Philosophers have tried to meet this challenge in three ways. One is to set a ceiling on just how much morality can ask of us. Another is to allow us to give greater weight to our own wellbeing and projects. And a third is to argue that each of us need only do our fair share. With consequentialism, the bad news for those hoping to do less is that none of these approaches will do. Consider efforts to place a ceiling on the demands of morality, exemplified by Richard Miller’s ‘principle of sympathy’ as outlined in his paper ‘Beneficence, Duty and Distance’ (2004). Miller’s principle says that we need only do so much that doing more would risk making our lives meaningfully worse. But this raises tough questions that Miller doesn’t answer adequately: why set the limit there? Why are we obligated to do only that much? Why are we obligated to do even that much? It’s hard to defend a non-arbitrary limit to the demands of morality. Alternatively, consequentialism may be so demanding because it insists that we choose what to do on the basis of a strictly impartial assessment of our action’s value. It asks us to count an action’s consequences for us exactly the same as we count its consequences for total strangers. To address this, in The Rejection of Consequentialism (1994) Samuel Scheffler proposes that we assign our own interests extra weight in our considerations, easing our responsibilities to others. However, there are at least two problems with this kind of approach. Let’s assume that there is an adequately non-arbitrary preference to assign to our own interests. Although giving ourselves this extra preference would let us off the hook from some obligations to help others, it would also permit (or, depending on how we formulate it, even obligate) us to harm other people when the costs to them are less than the gains for us. In trying to evade certain obligations to help others, we could end up legitimating others being harmed. What’s more, this approach doesn’t actually limit the demands of morality. In a world with so much suffering that we could so easily fix, even giving our own interests extra weight would leave us with the sort of extremely demanding obligations we may find so objectionable. It’s also possible that consequentialism asks too much of us when it allows other people’s neglect to increase our own responsibilities. When others shirk their obligations, the good I can do – and hence the good I am obligated to do – might increase, because their indifference leaves more suffering unalleviated. In response, Liam Murphy argues in ‘The Demands of Beneficence’ (1993) that each of us need only do now what our fair share of the moral work would be in a world where everyone did her part. Morality, Murphy suggests, doesn’t obligate us to pick up the slack. This approach can satisfy proponents of the demandingness objection only if they are persuaded that their worry that consequentialism demands too much, full stop, was actually a worry that it demands they do more than their fair share. These are not the same worries and, even if they were, there is a more serious flaw with this approach. Consequentialism addresses individuals: it speaks to you as a single person, not to us as a group. Its demands follow from its imperative that you identify which action available to you will have the best outcome, and do it, regardless of the sacrifice. That others similarly situated and equally obligated are not fulfilling their obligation simply has no bearing on the criterion you’re supposed to use to evaluate whether an action available to you is right: whether your action will produce the best consequences. Those of us that favour other moral theories may face similar dilemmas. Our moral convictions, properly examined, almost certainly call us to do more than we have done. The failure of these philosophical efforts to formulate less demanding versions of consequentialism suggests that we must set the objection aside. As David Sobel has written, the demandingness objection’s disparity of concern for people mirrors the disparities of the world as we find it: it privileges those who would be subject to demands – the affluent – at great and tragic cost to those who would benefit. I suspect our real objection, in any case, is that we shouldn’t be blamed for failing to meet such high demands. And this seems like an important point we too often neglect. On one hand, we may do wrong without being blameworthy. On the other, when we rightly feel we can’t be blamed for what we have done (or failed to do), we shouldn’t infer that we’ve done the right thing. As Schindler despairs, those whom he saved approach him. They embrace him. They forgive him. In light of ubiquitous human fault and frailty, his conduct is surely beyond blame. But even as they assure him that he should not feel so guilty, they do not tell him he’s wrong. If he could have done more, he should have. His omissions might not be blameworthy, but that doesn’t mean they are right. And while we might puzzle over how we can best meet morality’s demands, we should not deny that the same is true of us.